The Egyptian papyrus plant, also known as the Egyptian paper plant or Cyperus papyrus, grows to heights of 5 to 10 feet and thrives in full to partial sun. During ancient times, water-loving Egyptian papyrus plants grew along the Nile River, where the Egyptians gathered the stalks of the plants to make papyrus paper. If left to grow, the green stalks will produce cream-colored blooms in the fall. If you live within USDA hardiness zones 9 to 11, Egyptian papyrus will create an interesting focal point in your water garden. Sow Egyptian papyrus seeds in 4-inch pots filled with moist potting soil. Bury the seeds ¼ inch deep in the soil, and place the pots in a sunny location. Maintain a temperature of 75 degrees F or above during the germination process. Germination should take place within a month. Maintain moist soil conditions, bright sunlight and the required temperature during the growth of the Egyptian papyrus plants. As the plants outgrow their pots, replant them in larger containers. Transplant the papyrus plants, along with their pots, in your water garden in the spring. Simply submerge the pots in the water, keeping the top of the pot slightly below the waterline. Put the pot on top of a cinder block or brick to raise it, if necessary. 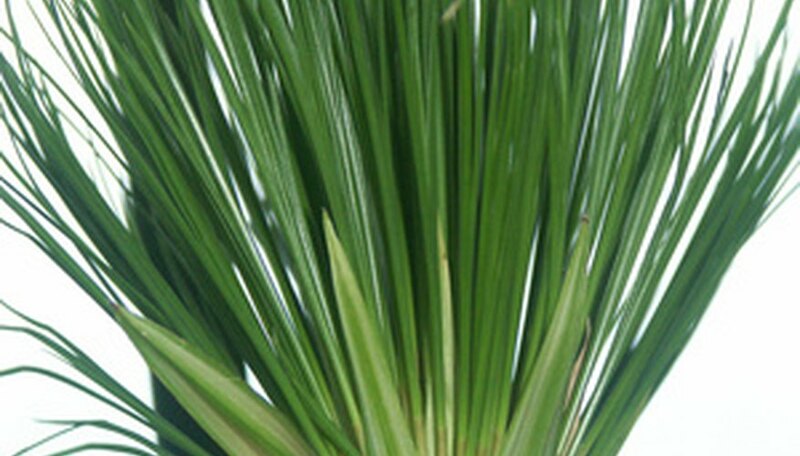 Feed the papyrus plant a diet of pond plant fertilizer. Pond fertilizer comes in granules and stick form. Follow the instructions on the package to determine amounts and times for fertilizing. Remove the pots from the pond and bring them inside if the temperature drops below 20 degrees F in the winter. Unlike plants that grow in the ground, potted plants have no protection from frost or cold temperatures. Bringing the Egyptian papyrus indoors will protect it from temperature drops. You can take it back outside when the temperature rises again.